Nine days to go! Next stretch goal for the Dumbing of Age Book 8 Kickstarter: Unlocking a free Dorothy magnet for everybody who pledged for mailable goods! The Book 8 Kickstarter funded yesterday morning! Hooray! 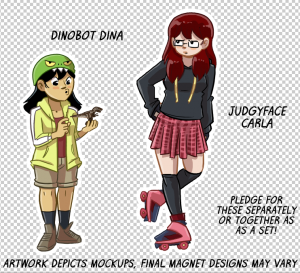 And we’ve already blown through the first stretch goal, which unlocks new Dina and Carla character magnets! 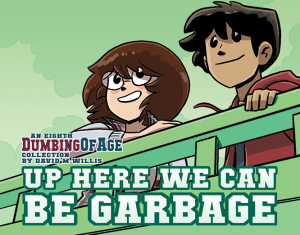 You can go pledge for them in addition to your book over at the Dumbin of Age: Eighth Book Collection Kickstarter campaign. 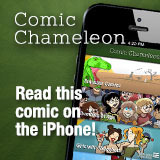 The next stretch goal renews weekend comic strip updates for the following year! Yeah, that’s right, Saturday and Sunday updates are because of the first Kickstarter campaign, and they’ve been perpetuated each Kickstarter since. Sometimes I forget that. Otherwise we’d be updating only weekdays. Tomorrow, at midnight, the Book 8 Kickstarter goes live! Yay! Stay awake for it!